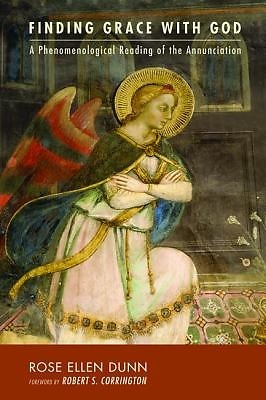 Finding Grace with God: A Phenomenological Reading of the Annunciation engages in an interweaving of phenomenology, mystical theology, and feminist philosophy to unfold a theopoetic interpretation of the narrative of the Annunciation in the Gospel of Luke. It begins with a discussion of the foundational phenomenologies of Edmund Husserl and Martin Heidegger and then moves to the more recent work of several French phenomenologists, including Paul Ricoeur, Jean-Louis Chretien, and Michel Henry. The interpretation is then expanded through the philosophies of Luce Irigaray, Jean-Luc Marion, and Jacques Derrida. Finally, the phenomenologies of Maurice Merleau-Ponty and Martin Heidegger provide a means to interpret the Annunciation through theopoetics, as a text that is infused with possibility. Mary, filled with grace, is beckoned by the divine into possibility; responding in grace, she in turn beckons the divine into possibility. Transgressing the limits of language, this possibility slips into apophasis--into a moment of Gelassenheit, a mutual ""letting-be"" or releasement of Mary and the divine into a mystical union of love, a love that becomes manifest through a gift of life. ""When an able scholar gives critical and sympathetic attention to a primary religious text and then is equipped to perform a multifaceted reflection, drawing on a wide spectrum of phenomenological thinking, you have philosophy of religion at its best. An example is this excellent book by Rose Ellen Dunn."" --Charles Courtney, Drew University, New Jersey ""Rose Ellen Dunn has written a brilliant book in a phenomenological study of the Annunciation story in the Gospel of Luke that uses both classical and contemporary phenomenology to bring Mary's blissful travail to light in dramatic and compelling new ways. She is fully at home in the earlier German tradition centered in Husserl and Heidegger, and the sequent tradition, still evolving, of Ricoeur, Henry, Marion, and others. But she is far more than just a historian of this method of methods--she is a practicing phenomenologist using the method, as redesigned by her, to coax religious phenomena to appear in new forms of givenness. Biblical scholars, theologians, and philosophers will all be enriched by an encounter with this important work."" --Robert S. Corrington, Drew University, New Jersey Rose Ellen Dunn is Associate Dean for Academic Administration at Princeton Theological Seminary. She received her PhD from Drew University.